In my workshop, you will experience the freedom that this medium has to offer. I will demonstrate my painting techniques and we will create paintings that are vibrant and exciting. My workshop is presented in a relaxed atmosphere where you will be encouraged to explore your own potential. I love free expression, strong brush strokes and exciting colors. I will show you how these elements will translate into the beautiful florals, still-lifes and landscapes that we will be creating in this workshop. I will demonstrate how to have painting freedom and not loose the important elements of balance and good design. 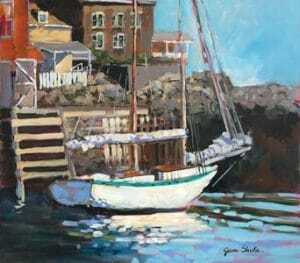 Jane demonstrates how to paint with ease and confidence and to enjoy acrylic painting to it’s fullest. She encourages the connection of the artist and their art flow openly without reservation. Jane’s paintings are vibrant and exciting. 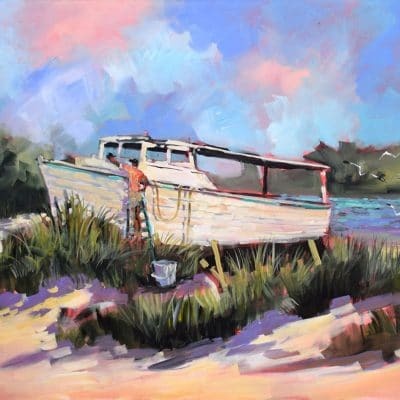 She paints in an expressionist style using strong brush strokes and exciting colors. Need to be motivated? Come and experience the liberating world of acrylics! 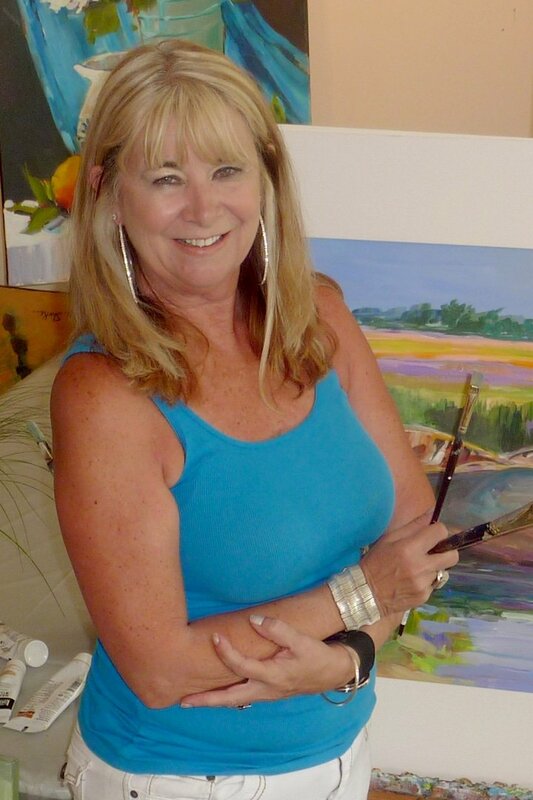 Jane, a Central Florida based acrylic painter, maintains a well established Gallery and Studio in Historic Downtown Mount Dora, Florida. She is known for her energetic approach and loves to bring humor into her workshops. 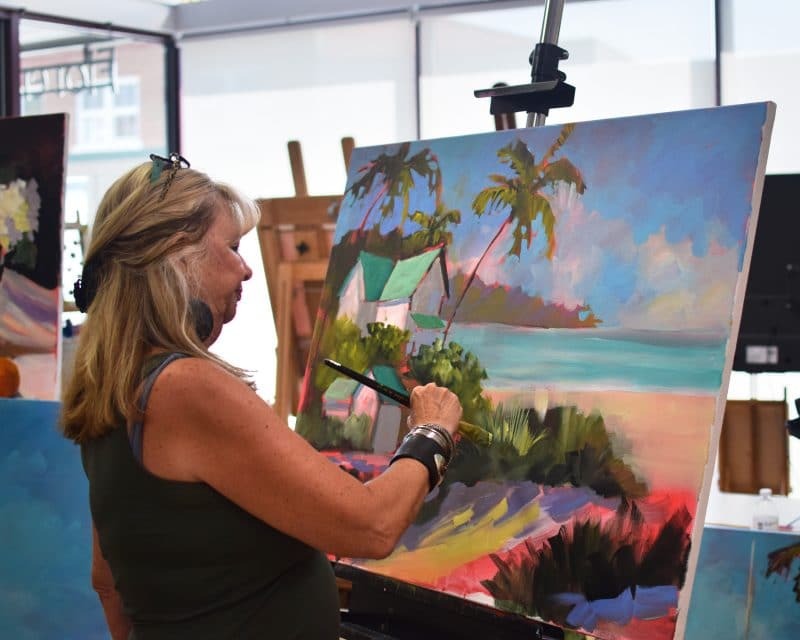 Combining this with her skills in art education, she challenges, entertains and strives to instill a new sense of self-confidence, all the while emphasizing how the process of painting should remain fun. “My goal with each student is to inspire them artistically, drawing out of them a higher level of personal expression, whatever their current level of expertise”!